Organize LITE - GruntWorx, LLC. Affordable solution for all tax offices and tax software programs. Scan in the client’s source documents and get back digital work papers sorted and organized in a matter of minutes. A quick and easy solution to automatically convert scanned tax documents into digital work papers that are organized, bookmarked and labelled. Organize LITE is a low-cost, entry-level solution that makes converting to a paperless office easy by including all the features and benefits of the standard Organize product but without human validation. The turnaround time is just a few minutes, so you can process forms while your client waits. Adds Convenience. 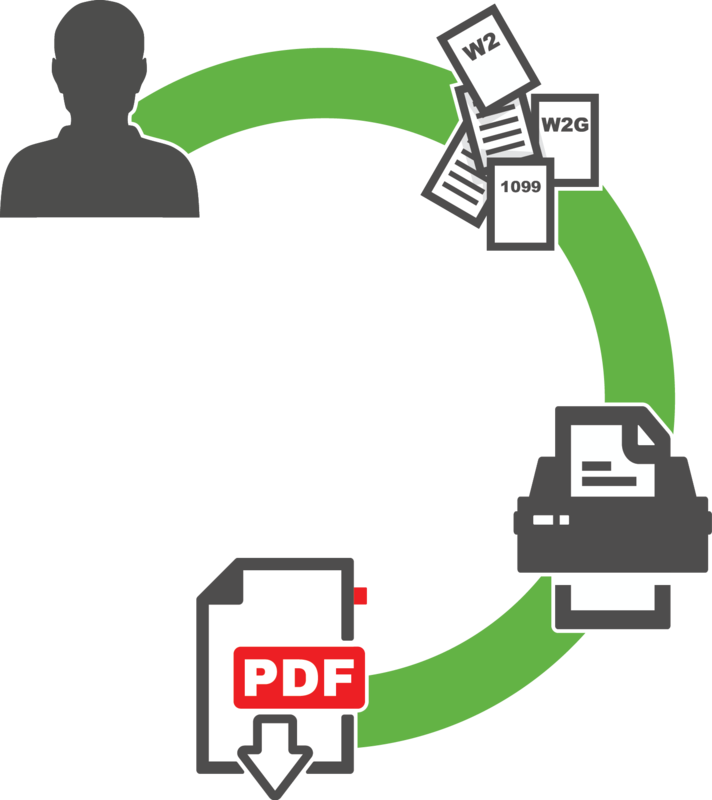 Just submit a high-quality scan to receive an organized PDF in minutes. Reduce Clutter. Reclaim office floor space that was once occupied with rows of heavy filing cabinets by going paperless. Improves Record Retention. Find client documents faster and find specific documents with fast full text search. Increase Client Satisfaction. Deliver an organized PDF instead of a stack of papers to your clients with their completed tax return.